One of the tools I use to help me keep focused on my goals, activities, and priorities are my planners. Yes, I use more than one. I love calendars and how they make me feel that I have some semblance of control over my life. I used to have a Daytimer. I loved the soft, brown leather of my planner and the fact that I could fill it with appointment cards and other paraphernalia. It did get heavy after a while. I now rely on my Google Calendar to help me organize my schedule that includes that of my two very active children. Even though I have this fabulous calendar in the cloud, I still want to have something to look at and hold in my hands. In 2015, I bought my first Erin Condren planner. Have you seen them? They are so pretty! The quote on the cover of my 2015-2016 planner says, “Believe you can and you will.” I wanted something pretty to motivate me to do all I want to accomplish. This year, I purchased my second one and this time, the quote on the cover reads, “She designed a life she loved.” It reminds me to take charge of my life and not let my life control me. There is a certain amount of control I have to relinquish due to kid, work, and community activities but I can hold control over some part of my life. 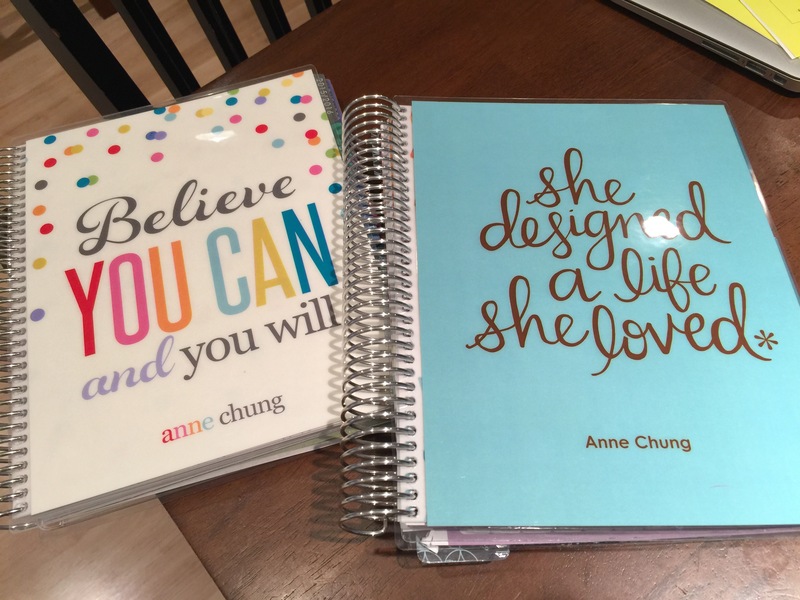 I use my beautiful Erin Condren planner to help me focus on three areas of my life–fitness, blogging, and food. I guess it is kind of like a quick way to journalize what is going on in my life. I believe that if I write down my fitness efforts in a pretty planner, I’ll be more inclined to stick with it. I love eating and I use the planner to help me plan the week’s menu which in turn helps me organize the grocery shopping. 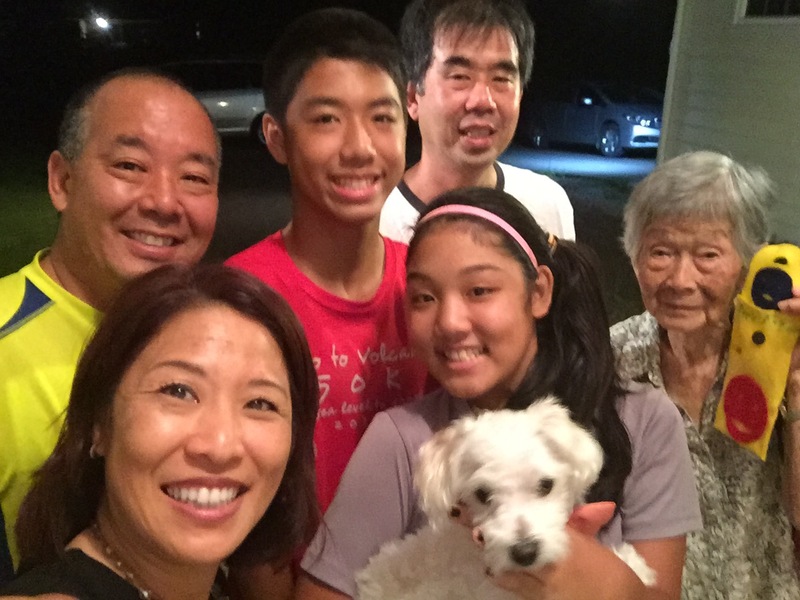 If I know what I want to make for our family meals, I can make sure I have the right ingredients and hopefully this leads to good budgeting habits, healthier eating habits, and a happy family who enjoys the food we are eating. The blog section of my planner helps me see what I have scheduled for the future and what was published in the past. For all these categories–fitness, food, and blog, I use Post-it notes that I move around as necessary because we all face unexpected events and until an event is complete, I don’t write it down in pen. She designed a life she loved. Living Hilo Style.